I can’t believe the Rock ‘n’ Roll Marathon Series in San Diego is finally here! I have been waiting patiently (or not so patiently) for this awesome weekend! So before I get into the Expo highlights (there was a parade involved), I’ll fill you in on what’s happened since my last Rock ‘n’ Roll post. Here are a few highlights! I scored FREE Lululemon! The #morethanmilestour made its way to San Diego and I took advantage! Basically you wait in line (length of time depends on location), pick out some shorts, pants, or a shirt to wear. Try it on in their pop-up fitting room and run on a treadmill for 2 minutes – yep, exactly 2 minutes – you watch a video while you run. You also may receive some free healthy samples while you’re waiting in line and might even do a sample strength routine led by an instructor. And that’s it! You get to keep the gear you try! I scored a free pair of running shorts and they are sweet! Check out #morethanmilestour and #thetesttruck on social media or visit the Lululemon website to find out if #thetesttruck is coming to a city near you. The employees were super nice and the treadmill is glorious! Then, disaster struck 😦 During one of my surge runs, I rolled my ankle on a slanted driveway in my neighborhood (should’ve stuck to the lakes that I’m used to). I hope you sung that TLC style. Anywho, I had to R.I.C.E. (Rest, Ice, Compress, Elevate); however, I did rack up some miles on the stationary bike to keep up my cardio. And as far as nutrition goes, I’ve been fueling up on oatmeal, sweet potatoes, bananas, peanut butter, veggies, eggs, and chicken breasts! Love this gluten-free spicy coating from Aleia’s! So that brings us to Rock ‘n’ Roll weekend! The expo was held yesterday and today. I went yesterday because I participated in the 5k this morning. The expo is held at the San Diego Convention Center. The good thing about this is that it’s a HUGE space so lots of room for plenty of vendors. The bad thing about this is that it’s downtown, which means – parking $$$$ boooo. Parking at the Convention Center is convenient, but will cost you $15. You’re good for the whole day though so essentially you could park here, hit the expo, and then go sightsee around downtown. I had my daughter with me so I was just going to hit the expo and leave. I parked at the Convention Center, but the parking meter thing was broke sooooo I parked for free. There’s also some handy public transportation options available. I arrived around 3pm which meant I just missed an appearance from Meb – good think I saw him last month! It wasn’t overly crowded and there were tons of volunteers directing traffic and keeping things orderly. First, I grabbed my bibs, shirts, and gear check bag. Then I let my daughter take some pics with overly sized props and we headed into the merchandise section. They have a HUGE area dedicated to Brooks running shoes and then a big area of Rock ‘n’ Roll merchandise. Then we headed into the vendor area to score some samples and SWAG! This place was happenin’ to say the least. It felt like a big party! There was a DJ, photo booths, and even a parade with confetti, balloons, and glitter! My daughter and I actually made it into the parade video. Blink and you’ll miss us, but we were there livin’ it up! Overall, I felt like the expo really delivered! Everyone was super nice and generous with samples and coupons. I wished I had time to get taped from one of the tape booths, but maybe next time! The only negative I will say is that there was only one way into the expo and one way out. And they were pretty strict about this. I’m sure it’s to keep everything orderly and safe. I was just annoyed that I had to walk all the way across the expo hall to get to the exit. It also looked like everyone really enjoyed themselves as well! Stay tuned next week for my review on the 5k, the half marathon, and of course, the SWAG! And if you aren’t running in the event tomorrow, come out and party with the bands and cheer on the racers! 5 Ways the Rock-n-Roll Marathon Series Rocks!! Alright, Alright, Alright…the San Diego Rock-n-Roll Half Marathon is only one month and I. am. STOKED! 🙂 In case you aren’t familiar with this event, it’s basically a weekend party with some running thrown in. It travels to cities all over the world to ensure that everyone can participate in this epic event. You can also choose from running three different distances: the 5k, Half Marathon, and/or Full Marathon. I love that they offer all three distances because it brings runners of all levels together. So WHY am I so excited to run the San Diego Rock-n-Roll Half Marathon? Well, here are 5 reasons why this event is sure to ROCK! 5. Run for Charity! – If you like running and fundraising, then the Rock-n-Roll series is for you! Help raise funds, increase awareness, and maybe score a free race entry by running for a charity. This year’s featured charity is St. Jude Children’s Research Hospital, but you can check out all of the guaranteed charity listings here. And while we’re talking about raising awareness, Rock-n-Roll San Diego will also feature a “Wear Blue Mile” on its course. Wear Blue: Run to Remember is an organization that honors fallen service members. They accomplish this by displaying tribute photos and American flags throughout a particular section of a race course. It’s an inspirational gesture that I respectfully look forward to experiencing. 4. The Unique Course Experience! – The Rock-n-Roll running series is unlike any other running event because there is live entertainment all throughout the course! Then it will end with a big party with MORE live music from some pretty dope bands. And what makes this experience even more exciting, is that the course will run through the heart of San Diego! You get to start off in beautiful Balboa Park, run past some sweet landmarks, and end in historic downtown. Check out this adorable map to get a better idea! 2. Run for the Bling! – I seriously have never seen any other race series offer so many medals! Basically, if you run more than two races you will get an extra medal. For instance, I am planning to run the 5k on Saturday and the Half on Sunday – which means that I will also receive a Remix medal! Let’s say you wanted to run the half in San Diego and then roll on over to Virginia Beach – you would receive a Beach to Beach medal! I think you get the picture, but to see all of the possible combos check out the extra bling here. And here are the individual San Diego Medals! 🙂 AND except for the 5k medal, they SPIN! SWAG! – Okay, I’m sure you knew this was coming. But besides all of the rad medals, there is some swag to be scored at this event. In addition to the above mentioned, you will also receive a t-shirt, gear bag, refreshments, free admission to the finish line concert, free beer, and more! There are also some sweet VIP options! And there’s an app! Pretty fancy, huh? Stay connected and get the latest info by downloading the Rock-n-Roll app! And just to add a little icing to the cake, this year the Rock-n-Roll Series will be celebrating 20 years in San Diego!!! This is where it all began, y’all! So grab your running friends and make Rock-n-Roll San Diego your next Racecation! I know it won’t disappoint! Ready to join the fun??? Register here! 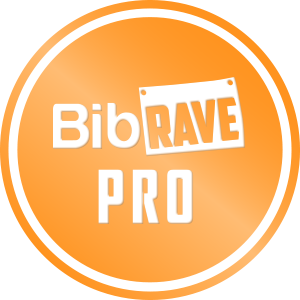 Use code “BIBRAVE15” to save $15 on the full or half marathon! Hurry, this code expires on 5/28! I’ll see you June 3rd and 4th!! Last month I ran The Aloha Run in San Diego on a beautiful day near Mission Bay! This event has a 5k or 10k option and I ran the 5k with my mini-runner in the Bob Stroller. The pricing for this run ranged from $30-$55 depending on your registration date with an option to add a timing chip for $2. I actually was able to run this for FREE and I’ll tell you how a little later on. So onto the race breakdown! Expo/ Packet pick-up: There was a packet pick-up option the day before the race at Road Runner Sports. I was unable to make it in time so I snagged my stuff the morning of the race. This is one of the perks of pushing a stroller during a race – you always have a place to stash all of your race goodies. Parking: Free parking was available close to the race start line if you arrived early enough. I, of course, arrived last minute so I had to park about a half mile away in a big dirt lot. Race location: The event was held at Tecolote Shores Park in Mission Bay near Sea World. Many races are held in this area due to its flat, paved course (although some spots can be a bit narrow when trying to push a stroller). It’s also a very scenic area along the water and the weather was great in the morning, but it got pretty warm later on. Luckily, the race began at 7:30am so I was able to enjoy some of the cool breeze before the heat set in. Race Course/Organization: Again, the course was flat and paved…however it was quite a crowded race. And since it is considered a fun run, many people were walking and hogging up the whole sidewalk. The 10k started 15 minutes prior to the 5k and we were separated into waves about five minutes apart. I started a little towards the back since I had my stroller and wasn’t planning on trying to PR. This was a big mistake because I got stuck behind tons of walkers…so if you plan to run this race in the future, and I mean actually RUN, then I suggest starting at the front. But the course was unique in that there were various areas of Hawaiian entertainment along the way. How fun! Finish Line/Post-Race party: We were greeted at the finish line with a beautiful medal (my mini even got one!) and some water that tasted not so great. There were lots of vendors and there was finally a good DJ! He stayed near the band and gave out prizes to the dancing audience. He also was the one getting us hype during the wait time in our waves at the start of the race. People were also walking around handing out leis to everyone, but I think it would have been more dope if they had given them out along with the medals at the finish line. And two of my fave vendors were at the race: Hubert’s Lemonade and Arctic Zero! My mini also approved of these flavors! Check them out! Overall impressions of the event: I loved the location, especially since it was right next to a playground so my daughter could let out some energy after being in the stroller for a while. The scenery was also beautiful and fit perfectly with the Hawaiian theme. The only downfall was that it was crowded, so I would start towards the front next time. Overall, I had fun and really felt positive vibes throughout the event! I liked the different elements of Hawaii that were incorporated throughout the race and the volunteers were all very friendly and helpful. I also ran this with a couple of other Stroller Warriors which made the post-race experience even more fun! How did run for FREE?! The Aloha Run held a contest on their Facebook page about a month before the race. The challenge was to write a short poem about running and the post with the most likes would win a 5k entry (not including the $2 price of the timing chip). Only about four of us entered and I shared on my personal FB page asking people to help out by liking my entry. And my friends totally rock cause I won! So a big Mahalo to all of you that helped me score a free race entry! Many races run these types of contests on their Facebook pages so keep a lookout and you could win, too! So what was the SWAG?! –Nature’s Bakery Fig Bar – this was delicious! –Coola Sport Sunscreen – this has really great reviews! What do you think? Did you participate in The Aloha Run and score some great swag?! Or maybe you ran the Long Beach Aloha Run and had a different experience? I’d love to hear! See you at the next event! Aloha! 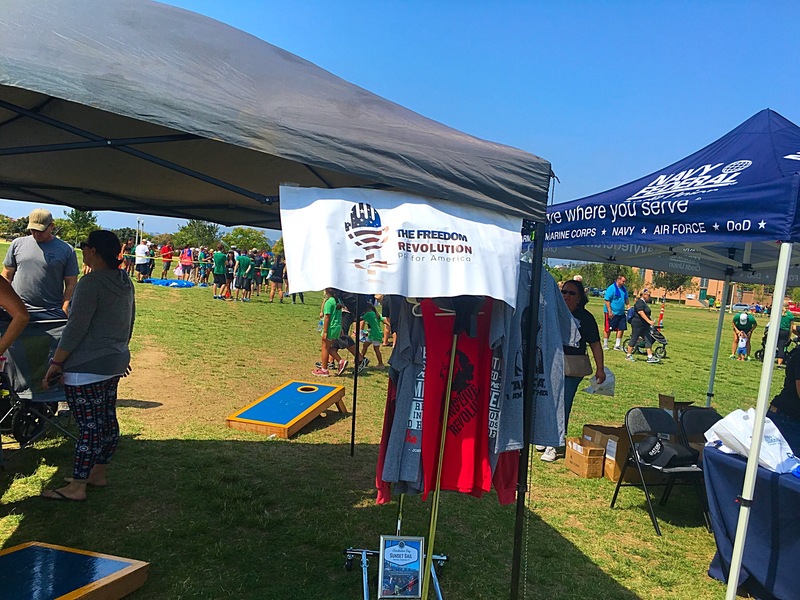 Last weekend I participated in the Joggin’ for Frogmen 5k here in San Diego. It’s a great event because it’s available in multiple cities around the country and it benefits the Navy SEAL Foundation! They also offer a Tadpole Trot where the little ones can earn their very own tshirt and mini medal! Price: The registration price runs between $25-40 depending on when you register, but there was a Groupon available for this run for $25. I actually won a race registration, but I’ll elaborate more on that later. The Tadpole Trot runs $10-$15 also depending on your registration date. Parking: Like many other 5k’s in San Diego, this one was also held at NTC Park in Point Loma. The course isn’t the greatest (more on that later), but there is plenty of free parking…which is amazeballs because seeing the words “plenty” and “free parking” associated with anything in San Diego is like seeing a unicorn playing a violin. Course: The race started at 9am which is a bit late in the day, but luckily it didn’t get too brutally hot until a little later. I ran with my single BOB so I started towards the back. The course scenery is nice as it’s situated near the bay, downtown and the airport; however, the course is a bit narrow with some uneven terrain which can be difficult when pushing a stroller through busy crowds. If you want to attempt to get a decent time, I recommend starting at the very front. It’s also mostly flat with only a slight hill going over a bridge. There were also plenty of friendly volunteers, signs and water stations throughout the race. And since the course is near a Naval Training Center, there are lots of flags, statues and a patriotic vibe throughout the whole park. 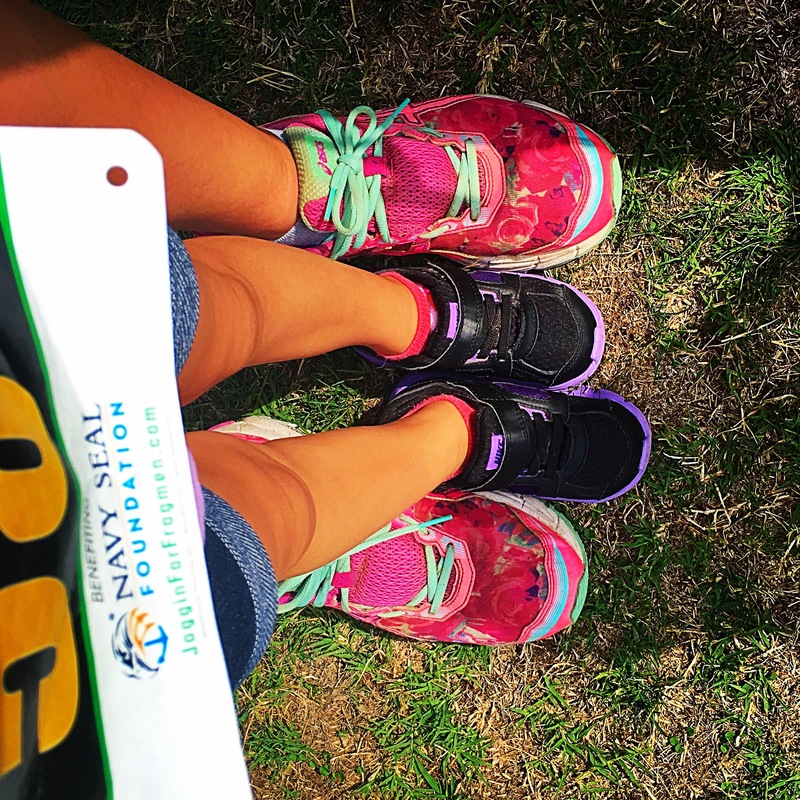 We were met at the finish line with medals – they even gave one to my mini in the stroller! – water, and hand towels. Post Race: There was a big table of bagels, granola bars and other snacks near the finish line. There was also a beer garden where the participants were offered a complimentary adult beverage. And there were a ton of sponsors and vendors giving out swag! There was also a raffle opportunity and a DJ playing some pretty energetic tunes. Tadpole Trot: I didn’t get a chance to collect as much swag as I wanted because I had to get my little one ready for the tadpole trot. This was my only peeve about the whole event. The tadpole trot didn’t start until 10:30 which I thought was quite late. Also the distance was a bit shorter than I had imagined. It was probably only about a 50 yard dash whereas many races do a 1 mile or 1k run for the kids. But the little ones still had fun and my daughter even placed in the top three of her age group! Another cool element of the race were the skydivers! 3 jumpers dove out of an airplane while “Proud to be an American” played over the speakers. Vice Admiral Robert Harward held the American Flag while flying through the sky which was a touching effect. Then he posed for pics with all of the little tadpoles! Andy Stumpf (retired Navy Seal/Kill Cliff ambassador) was also another awesome jumper! Now, how did I run this race for free?! I answered a question on Instagram from an awesome patriotic organization called The Freedom Rev. 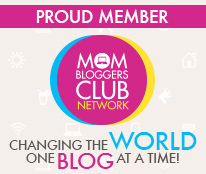 Check out their page and social media channels! Social media is a great way to win free race entries, so follow your favorite race ambassadors and search for event hashtags! You may win a free entry of your own! Shortly after the race I got an email with my official race results and a link to preview and purchase my race photos. Overall, this was a very organized and well run event that benefits a great organization! Checkout Jogginforfrogmen.com to find an event near you. It’s a great event for the whole family and I enjoyed running with not just my mini, but also some fellow Stroller Warriors! My only suggestion would be start the race an hour earlier and organize the tadpole trot a little better. ~A super dope medal! It’s a lanyard, magnet, bottle opener and medal all-in-one! ~Again, I missed out on some swag opportunities since several of the vendors were tearing down by the time the tadpole trot ended, but I did manage to snag a few items! And the technical tshirts are super soft and comfortable! I recently participated in the Margarita 5K in Mission Beach and it was definitely a blast! I used a coupon code for this race so I paid around $28 for this event. Packet pick-up was the day before at Movin Shoes in Pacific Beach. It’s a tiny store, so I was in and out pretty fast. Here I picked up my bib number, swag bag and tshirt. They were also offering a discount on merchandise purchased at Movin Shoes that day. Race day parking was simple – there were a ton of open spots up close to where the event was held. The race itself was pretty small – probably around 200 people – so it definitely wasn’t crowded at all. Since this was a beach event, it started at 7:30am in order to catch low tide. There was a lot of energy prior to the race start, including a Zumba instructor getting the crowd warmed up with some dancing and fun music. The early start time combined with the previous day’s rain made it a nice and fairly cool run. I also did this chip-timed run with a few of my Stroller Warrior friends which made the day even more enjoyable. The race course was on the flat, packed sand and there was water/Gatorade at the halfway point. At the finish line we received our medals and were offered water and snacks. There were a few vendors at the event and we were required to get their signatures on our bibs in order to be entered into a raffle. Race times were posted pretty quickly and awards went out to the first place winners of each age category. There was also a DJ pumping music and keeping the party going. Besides the Color Run, I would say this is the most energy I have seen at a race in quite some time. A tank top – I do prefer tanks over tshirts, although these seemed to run kind of big as if they were men’s sizes. And most importantly…A coupon for a free margarita from Café Coyote! Yippee! I hold a special place in my heart for margaritas, so the free margarita is what first drew me to the race. The only downfall was that the restaurant offering the free margarita was located in another part of town about 10 minutes away. But I really did enjoy this event and I hope to see this race grow in the future! See you at the next event! You can learn more about the race organizer and future events from TogetherAs3pointone here. Last month, I ran the Super Run in downtown San Diego. I learned about the run through Living Social so I only paid about $15 for this run. It was advertised as a family friendly fun run with a scenic course along the Marina district and Seaport Village in downtown San Diego. Costumes were encouraged and the event benefitted the Down Syndrome Association of San Diego. Packet pick-up was the day before at Road Runner Sports. I was unable to attend, but I heard it was pretty chaotic with long lines and disorganization. Parking the day of the race was a bit tricky because downtown parking is always a pain; however, I know of a secret parking lot so that made things a lot easier. 😉 I ran this race with my 3-year-old daughter and my friends from my Stroller Warriors group. Fun runs are always way better when you do them with friends. It was a pretty crowded event on a narrow pathway, so passing people was not easy! This was not a timed event, which was a good thing because there were times that you were forced to walk due to the large crowds in the small areas. I even saw a couple holding hands while walking during the race, so I would not consider this a competitive event by any means. It definitely was an excuse to dress up like a super hero and walk/jog with some family and friends. Since I had to walk during many parts of the run, I was able to take lots of pics! It was a gorgeous day and there was lots of beautiful scenery so get ready for photo overload!!! I almost forgot to mention my favorite part of the race…and that was getting to wear these dope socks!! Overall, this was definitely a FUN run and I would do it again with my kids and friends! I do wish that it had been a bit more organized and maybe on a wider course, but it wasn’t bad for the price. So what was the SWAG? !